Home/Christmas, News/Send Christmas Gifts To Orphans! HOLMDEL, N. J. – It’s not Christmas yet, but Sylvia’s Children (www.sylviaschildren.org), a U.S.-based nonprofit, will once again be raising money for its annual Christmas party, as well as soliciting for Minnesota travelers looking to partake in the trip of a lifetime. The organization will once again be inviting those to take part in spreading holiday cheer amongst a community of more than 1,200 children, when it embarks on its annual Christmas trip November 8-21, 2018. 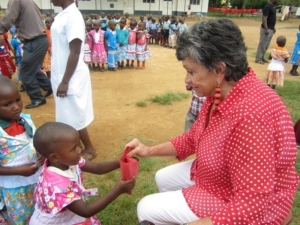 Sylvia Allen, a Minnesota-based internationally recognized businesswoman and philanthropist, founded the organization in 2003, and has been hosting Christmas trips for the last 13 years. Allen, a native of Edina, is also the owner of the historic Butler Building in Aitkin, which she purchased in 2011 and has been restoring to its original grandeur, including its Opera House, where a young Judy Garland first got her start on stage as part of the Gumm Sisters act. She is also the organizer of various popular events in the state, including the Annual Harvest Moon Brew Fest, the Aitkin Farmers’ Market and more. 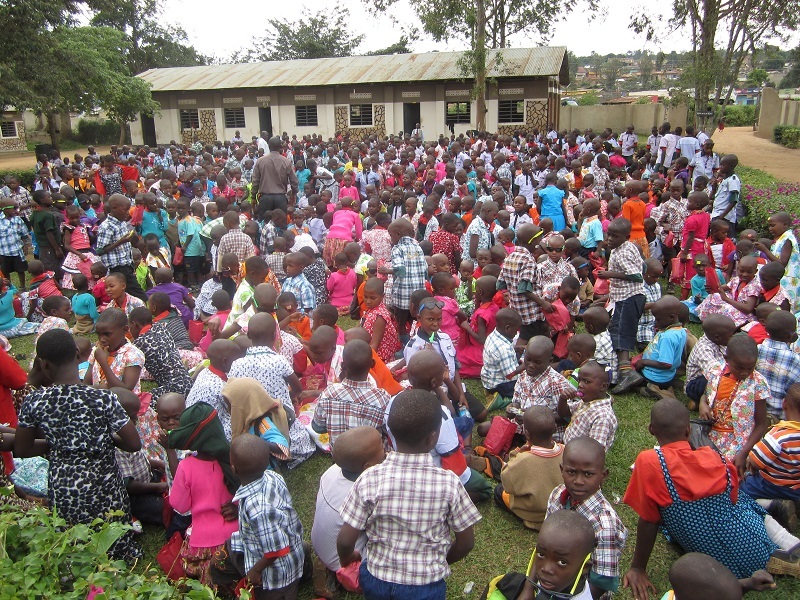 Minnesotans and those from around the country have joined the organization on its annual trip to help bring Christmas magic to the children, 25% of whom are orphaned, currently attending the Mbiriizi Advanced Primary School near Masaka, Uganda, Africa. Sylvia’s Children raises money so that every girl gets a new dress, every boy a new shirt, they all receive a gift bag and they get a Christmas party which consists of a cake, meat sauce and rice and a soda. (Often this is the only meat these children get in a year.) During this party, each child is given a gift bag filled with all sorts of toys, new clothes, candy and other goodies, like stickers and sunglasses. The organization will host this year’s trip which includes being part of the Christmas celebration at the school, serving the children the special lunch and handing out the gifts to all the children. This year, as part of the all-inclusive trip, volunteers will also be treated to a three-day safari experience at Mweya Lodge located in Queen Elizabeth Park in Uganda where they will get the chance to see everything from elephants to zebras and maybe even a lion or two (or even a leopard!).. Since its inception the mission of Sylvia’s Children has been to better the lives of the more than 1,200 children attending the school through the implementation of a self-sustainable economic model, which has been accomplished by gaining annual sponsorship for a majority of the orphans, and by raising more than one and a half million dollars, of which 100% has gone to the school. The charity has also constructed a fresh well, new classrooms and housing for teachers and orphans, a kitchen, ten chicken coops (13,000 chickens), a sewing facility, a fully stocked library, a playground, 650,000 coffee trees, 150,000 mango trees, 40 pigs and more. It’s also built a 6,000-square-foot medical clinic serving as a mini hospital for the region. 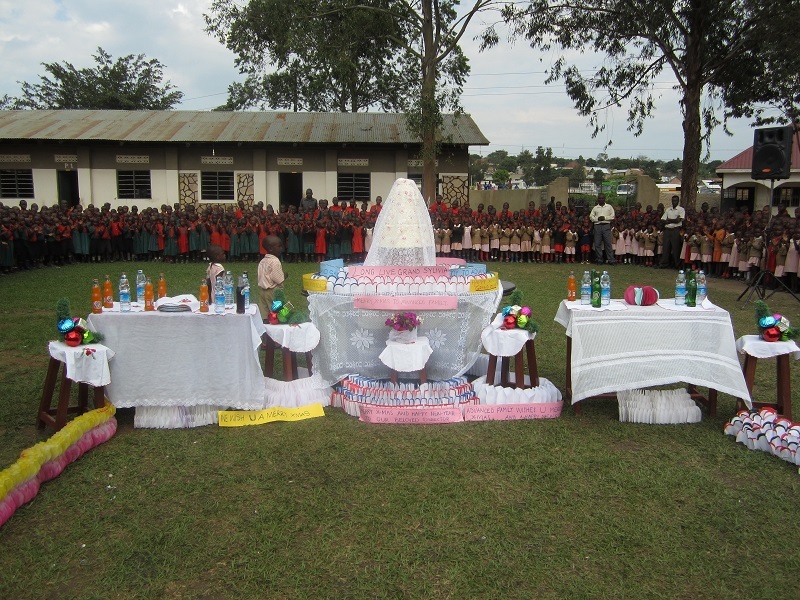 All of these elements have contributed to helping the school become self-sustaining. Those interested in joining the trip or giving to the Christmas program, or those who would like to donate to the organization’s efforts, can visit our webpage Uganda for Christmas and donate via PayPal, contact Sylvia Allen directly at sylvia@sylviaschildren.org or call 732-946-2711 (in the Midwest call 218-678-2441).